William Bruce offers confidential local and national representation to business buyers and sellers. William "Will" Bruce is a business broker, an Accredited Business Intermediary (ABI) and Senior Valuation Analyst (SVA). He currently serves as president of the American Business Brokers Association. He has been providing business transitional services for almost three decades. To visit his full profile including recommendations, please go to LinkedIn profile of William "Will" Bruce. To read his discussion of the issues involved in valuing, buying or selling a business, go to the William Bruce on Business Discussion. Also, you can follow William Bruce on Twitter. Will is a graduate of Auburn University with a degree in economics and business administration. He has served as a bank director, as chairman of his city's airport and industrial authority and on several state and national boards of professional, business and civic organizations. Additionally, William Bruce has owned and managed several businesses of his own. His business brokerage experience since 1986 ranges from small retail shops to large manufacturing plants. This broad background and experience is now available to his clients in the business sales and acquisitions marketplace. 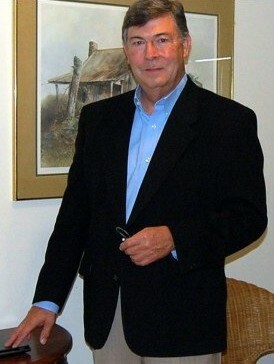 About William Will Bruce Business Broker, Mobile, Fairhope and Gulf Shores, Alabama. email or the good Ol' United States Postal Service! All communications with William Bruce are strictly confidential. William Bruce interviewed by Small Business Trends of Cleveland, Ohio.